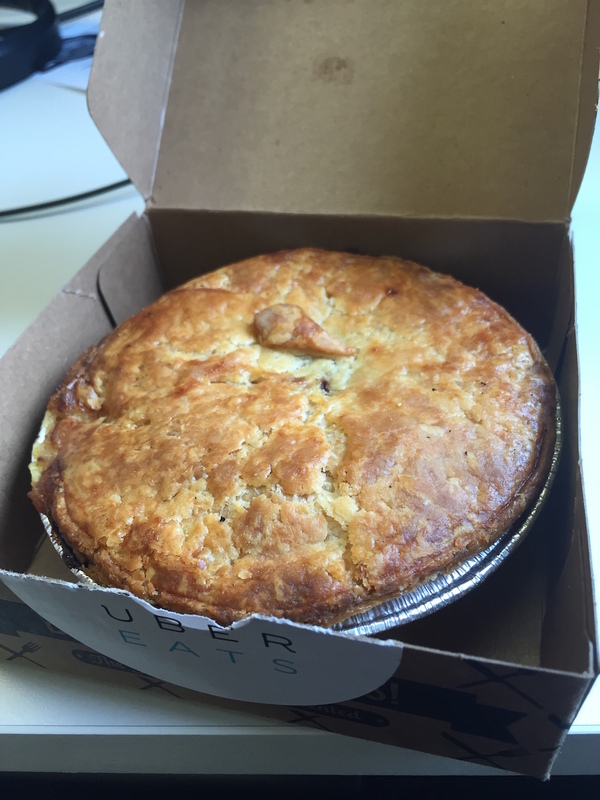 I Tried UberEATS, and I’ll Do it Again! It would seem as though Uber is one of those companies that comes into a city, disrupts the status quo, causes chaos, and then happily and merrily moves along to the next city. Along the way, they introduce new things business ventures that are usually just a slight variation on their tried and true model. 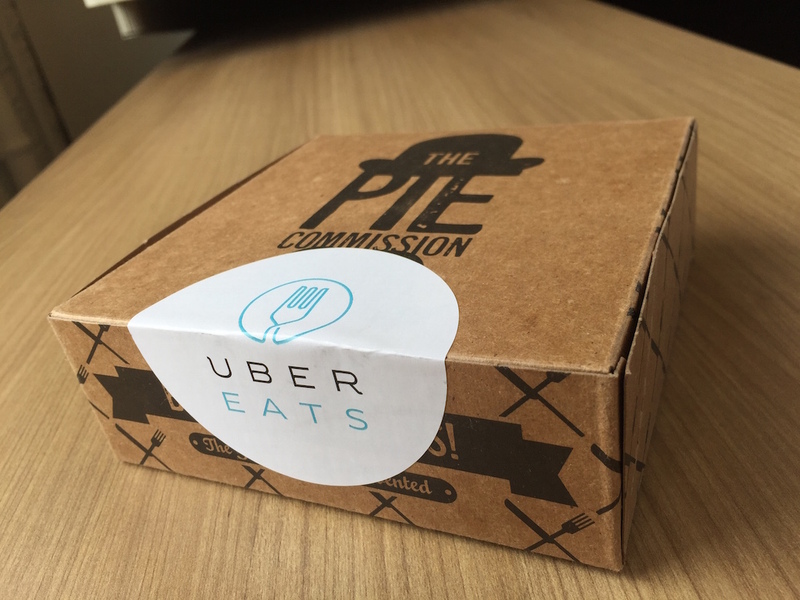 Though UberPOOL – a way for ordinary drivers to arrange for carpools with complete strangers – has been in the news recently, what interested me more today had to do with food. It rained today, and I really didn’t want to have to leave the office – wearing canvas shoes and heading to work without an umbrella weren’t exactly the best idea. I gave UberEATS a go today, and I’m sure glad I did. Plus, it was super easy. 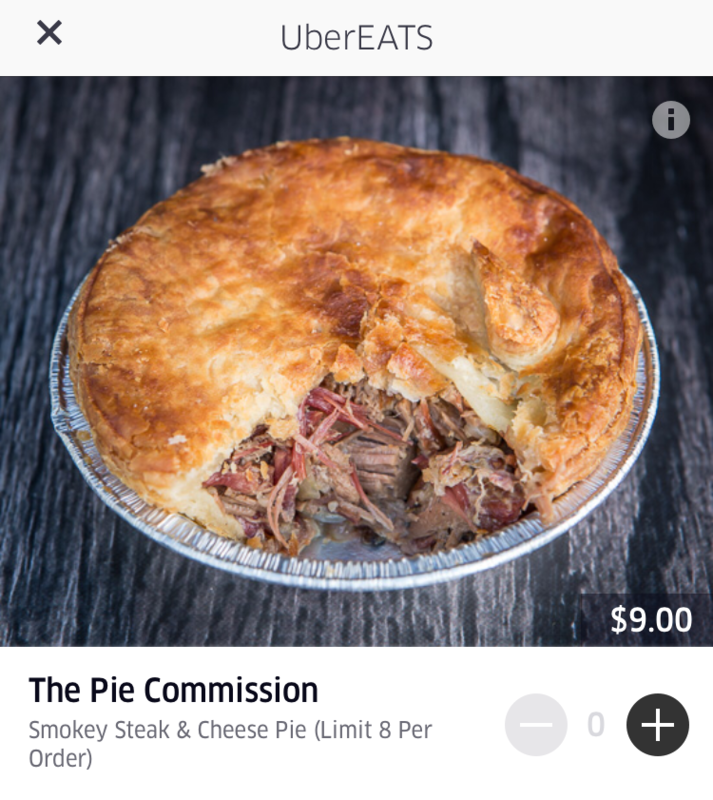 Checking out the menu on the app, the first item there happened to be an amazing looking Smokey Steak & Cheese Pie from The Pie Commission. Yep. Sold for two reasons. One, this is one fantastic restaurant that’s located on the Queensway in Etobicoke near where I live. Two, I’m pretty sure this particular pie isn’t on their regular menu. Like I said, sold. I confirmed my address, clicked the order button, and then just like requesting a ride through Uber, I received my driver’s name, car make and model, and licence plate. My steak & cheese pie would arrive in 5 minutes. FIVE MINUTES! The pie was delicious. I’m so glad I gave UberEATS a go. This definitely won’t be the last time. The best part of it is that there’s new menu items every day. Yeah, you’ll be spoiled for choice. 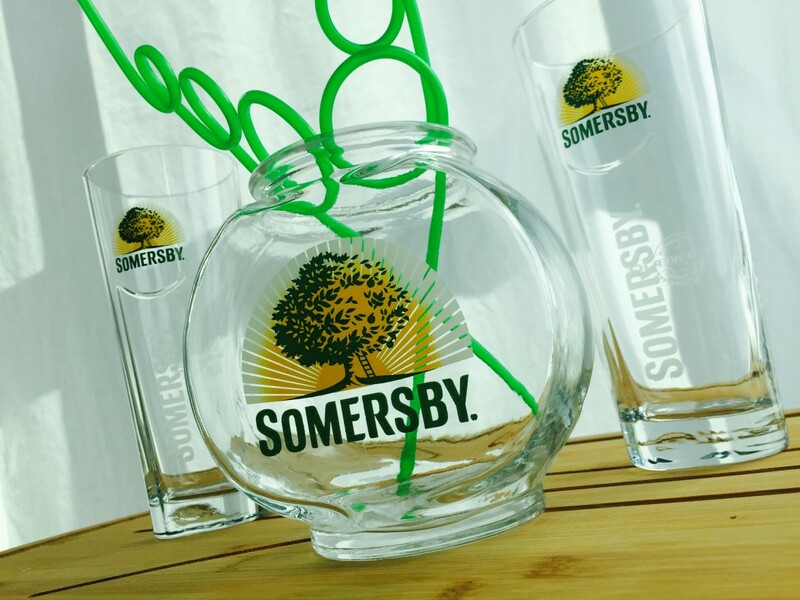 @mkshftlnks @NicoleG_12 congrats – you are the winners of our Somersby glassware kit! Send us a DM to claim your prize. I was quite elated to see this notification from Somersby Canada the other day! Just last month my friends took me out for my birthday to Korean Cowboy, a restaurant near Yonge & Eglinton that specializes in Anju. In case you didn’t know (don’t worry, neither did I), Anju is the Korean word for foods that are typically consumed with alcohol. Korean Cowboy in Toronto also happens to have a Somersby and Soju special. The best way to drink it is in shooters, but I’m sure you could change the ratios around in your own version to make it easier to drink in a cup. Anyway, I very much look forward to summer drinks – maybe even on a patio! 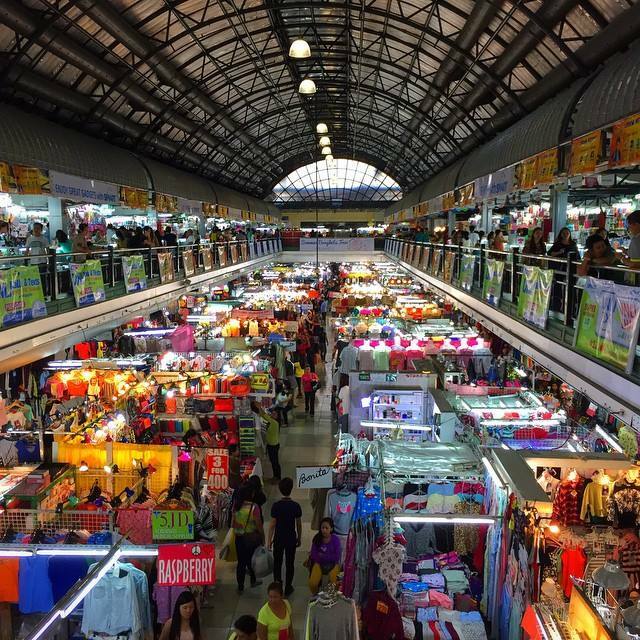 On my recent trip to the Philippines, I made sure to stay in touch with the social world in effective, yet simple ways. Even though I brought with me my trusted Fujifilm X100s digital camera (which is my trusted travel camera), my Apple iPhone 6 came out of my pocket every now and then to snap a photo here and there. These are the photos that I was happy enough with to post to Instagram for all to see. I have also included the caption that I added to the photos when they were originally posted. There’s a whole bunch of talk about social media lately. Everywhere I go, its ‘tweet this’ and ‘like that’. Honestly, I don’t mind. As a self proclaimed social media maniac, I endorse social media in pretty much everything in my daily life… And if it were possible for me to ‘check in’ to a massive advertisement in the sky, I’d definitely do that too. Claritin today surprised pretty much everyone in and around downtown Toronto by making the ultimate tweet in the sky. 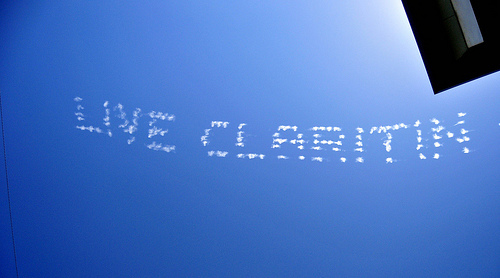 To the shock and awe of many, they recruited 5 planes with coordinated dot matrix printing to install several giant and temporary billboards reading “Live Claritin Clear Today”. My take on this – pure awesome. A couple of months ago, Lowepro held a launch event for their brand new line of bags and support systems, the Street & Field collection. The Thompson Landry gallery in the distillery district of Toronto graciously hosted photographers, videographers, and invited enthusiasts alike. Of the many delicious offerings, the camera-shaped cake that the Lowepro marketing team had specially made for the night almost, well, took the cake. On display around the gallery were images from the Photosensitive collection – a not for profit organization that uses photography to help those who are less fortunate – and many t-shirt-clad mannequins donned in the extensive and impressive options that Lowepro has to offer. A most unfortunate event has happened at least once to every photographer – you miss the shot because you were not prepared. The decisive moment cannot come together if lens, camera, and sometimes flash come together first. The Street & Field collection provides the first step to removing the issue of unpreparedness. The entire collection is assembled with the help of the S&F Deluxe Technical Belt. 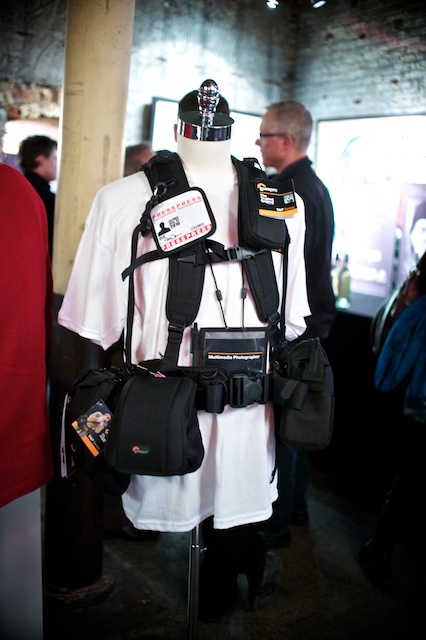 This is the starting point for the Street & Field collection, so understandable, Lowepro made sure they got it right. The belt fits around the waist with a large and durable – so far – buckle. The buckle snaps nice and tight, so I wasn’t at all afraid that it would come undone and send quite a bit of gear crashing towards the ground. So as to provide a certain level of comfort once fully loaded, it comes very well padded along almost its entire length. Surrounding the belt along the outside are no less than nine slip lock loops. I don’t expect anyone to use every single one of them, but the flexibility is nice, especially when some people prefer to distribute the weight of their gear in many different ways. The loops are compatible with a large range of Lowepro products that already use the slip lock system, as well as all of the new Street & Field products. Let me get one thing straight. The Street & Field collection is not just a simple belt system. Despite my consideration of the belt as one of the most important pieces, the collection can work just fine with other combinations as well. Furthermore, belt systems are not for everyone. Some people have the body type to make them work, while others do not. In any case, this modular – and pay attention to that word, because it is an important one – system allows you to choose which pieces best suit your shooting style. We received several pieces for review, and I do have to admit that some were used more than others. As I said earlier, it all depends on what you shoot, how you shoot, and how often you shoot. For a photographer that is often on the go, some pieces made more sense to me than others. S&F Utility Bag 100 AW: Lowepro’s website describes this bag as a “versatile storage space for all kinds of photography and audio gear”. Yep, that pretty much sums it up. This bag is definitely a carry-all for pretty much anything that a photographer might need throughout the course of a shooting day. Best of all, and which works out excellently for someone such as myself, it is the perfect size for a camera body (without lens of course) with a grip attached. Sometimes it is quite useful to have a second body on your person, though not being used. You know, for one of those just in case moments. S&F Slim Lens Pouch 55 AW & 75 AW: So I’ll be honest… I didn’t put these two pouches to much use. It wasn’t because I didn’t see a use in having them with me, but rather it was because I don’t normally carry any smaller lenses with me. I certainly carry larger lenses, such as the Nikon 70-200 F/2.8 VR and the 24-70 F/2.8, but Lowepro already has a bag for those (which I’ll cover in a moment), and I rarely ever have both of them off the camera at the same time. The Slim Lens Pouch 55 is great for smaller lenses such as many of the most popular primes on the Canon EOS system and would be the perfect choice for the photographer that does carry the occasional prime or portrait lens. If you find yourself carrying two three lenses (two large ones and a small one), the 75 will comfortably house your 24-70 or similarly sized lens while you have fun with the primes. S&F Quick Flex Pouch 55 AW and 75 AW: This pouch would have been an absolute dream to carry a flash in – that is, if we’d asked for the proper size. For review, we received the 55 version, but I found that my SB-900 didn’t quite fit so well. I’m very certain the 75 would have been a perfect fit. I recently received an SB-700 (fantastic little CLS-capable flash, by the way) and that does fit beautifully in the smaller Quick Flex Pouch. 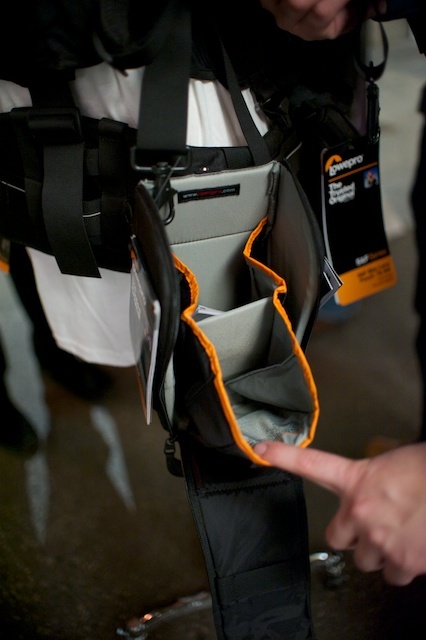 Also, Lowepro didn’t just stop at the great form fitting design of the pouch, but they also made it easier for a photographer to access the zippers in approximately a tenth of the time it would take to find the zipper on any other flash pouch. When closed, your flash isn’t going anywhere, but thanks to massive loops attached to the zippers, this pouch can be slid open in a flash (pun definitely intended). Lens Exchange Case 200 AW: I’m not going to hold back at all when I say that of the entire Street & Field collection, this piece is definitely my most favourite. Lowepro themselves admit that it is a breakthrough lens case and is the perfect solution for any photographer that switches out their lenses while they’re working. The Lens Exchange Case, when open, has what I would describe as a dual pouch structure. It quite comfortably holds a lens in the permanent pouch – a lens, by the way, as large as a 70-200 F/2.8 – while safely supporting the lens being swapped out in a temporary pouch. New lens goes on, old lens then gets placed in the permanent storage section. It is really as simple as that, but a first of its kind. This lens pouch is above all a definitely must-have for any photographer that carries more than one lens at a time. The first time I used it, I knew it would be worth every penny. I should mention that each and every one of the lens pouches I just mentioned have the AW designation, which means that it includes the all weather cover – a rain cover that folds out to cover the entire case in the event of inclement weather. Almost all of Lowepro’s bags include this, but it definitely refreshing to see it included in the modular Street & Field cases as well. Lowepro introduced many new items with the new Street & Field series, so as to cater to many different segments of media and content creators. As a photographer, I found that some of the pieces can be overlapped with other types of media such as videography, but that overlap is a nice safety net, just in case the day ever comes that I decide to switch my area of expertise. The very nice thing about the S&F collection is the modest prices of the individual components. You can purchase as many or as few as your budget will allow and still be comfortably in the knowledge that the system will still be relevant and compatible. All told, the Lowepro Street & Field collection is an excellent value for what you get, and I would absolutely recommend it to any photographer looking for a setup tailored to his or her shooting needs.